WP Project Manager Pro by WeDevs is a WordPress plugin that allows you to manage your organization’s projects and tasks among coworkers and project team mates. As a project manager, whether it is of software development, construction or financial planning, you probably need a solution to manage your team mates, coordinate tasks and milestones and scheduling. If you are looking for a low cost, fully functional centralized software solution to help manage your project requirements, WP Project Manager is your answer. 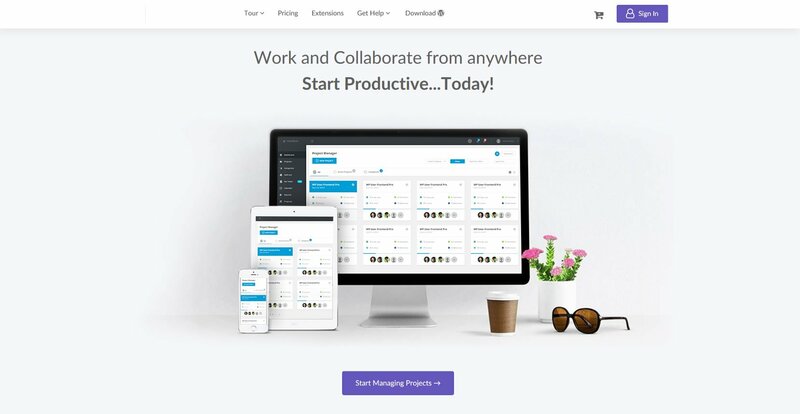 WP Project Manager, a WordPress plugin allows for a complete workflow from project initiation, management or delegation of individual tasks to team members. 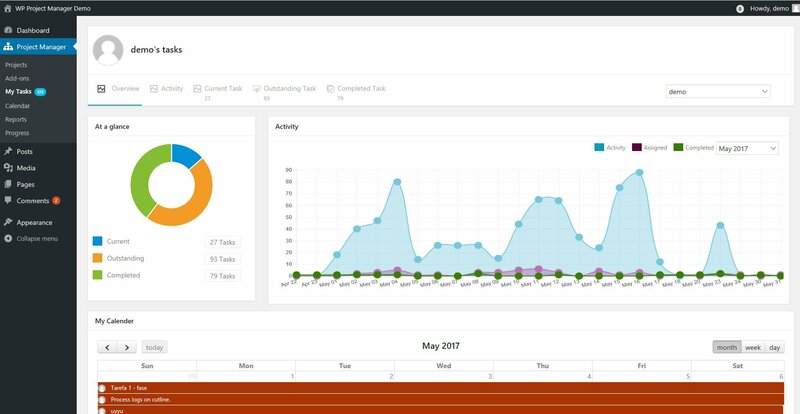 WP Project Manager comes built with a calendar view to help you visualize your project progress and a project files manager that helps to share files within the team. For communication, a discussion board and a Private Messenger is available so that you can communicate with your team remotely. Extensions are available for a variety of functions. WP Project Manager BuddyPress – Uses BuddyPress to separate different groups / teams / departments without resorting to multiple installations. WP Project Manager Invoice – Assign client roles to users. And when you have finished the client’s task or project, the invoice add-on can be used to create invoices within projects and collect payment from clients. 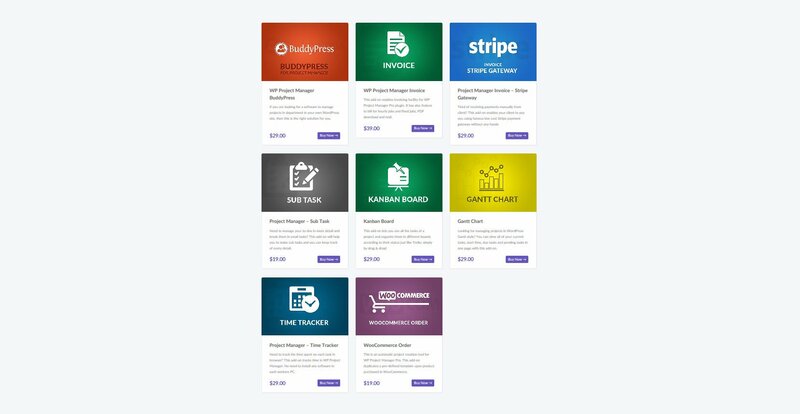 Project Manager Invoice – Stripe Gateway – An addon to allow for clients to pay invoices generated by WP Project Manager Invoice via Stripe. Project Manager – Sub Task – Some tasks are so complex that you would need to break it town to smaller tasks. This add-on allows you to do just that. Kanban Board – If you are running multiple tasks, this add-on lets you see all the tasks of a project and organize them in different boards according to their status just like Trello. Gantt Chart – Love Gantt Charts? Use this addon to view all of your current tasks, start time, due tasks and pending tasks in one page. Project Manager – Time Tracker – Keep track on workers’ performances with a time tracker! WooCommerce Order – If you are a service provider, you can accept jobs from your online store with this addon. It automatically adds a new project or duplicate a predefined project when a WooCommerce order is made. Ensuring that your orders are scheduled immediately! As WP Project Manager works primarily via the WordPress dashboard, it is compatible with any theme. The community version is free but it already contains all the basic features that you would need for project management. The premium version, at $59/year, comes with a one site license and a front end feature, a year of support and updates with a 14 days money back guarantee.